Members of Parliament gave reporters their opinions on President Georgi Purvanov's criticisms of Prime Minister Sergei Stanishev in a national daily on Thursday. Purvanov said the Prime Minister's decision to appoint some of his advisors and other team members to company boards was "a serious mistake". The appointments, which come shortly after a recent scandal over incomes undeclared by deputy ministers and other civil servants participating in boards, were called "short-sighted" by the President. One instance is the appointment of Stanishev's media advisor Ivailo Danailov to the post of Chairman of the Board of Maritza East Mines, whose coal output contributes to a quarter of Bulgaria total energy production. The President was especially critical of the appointees' lack of expertise in the sector they had been appointed to, BTA reported. Yanaki Stoilov of the majority Coalition for Bulgaria parliamentary group said the President and the Prime Minister should work together on the crucial issues facing Bulgaria. He said it was not well advised to have people, who primarily help officials formulate positions, in managerial posts in key enterprises. Stoilov thought it a good thing that the President was voicing his personal opinion on certain issues and was furthering a debate which began recently. Lyutvi Mestan of the Movement for Rights and Freedoms (MRF, in the governing coalition) called the President's comments "an invitation to high-level dialogue, which will test the institutions' readiness for discussion". The important thing is that the President's critical tone should not lead to tension; the most critical remarks should be carefully read, Mestan said. He added that his party fully supports Purvanov's strong criticism of the appointment of members of political offices to state-run companies' boards. Mestan also recalled that a decision about the removal of deputyministers and members of political offices from such boards was made at the government's conference in Katarino in May. Olimpi Kutev (Simeon II National Movement, the third party in the government coalition) compared Purvanov's interview with interviews with Presidents Zhelyu Zhelev and Peter Stoyanov, who respectively criticized the right-wing governments of Filip Dimitrov and Ivan Kostov. "Judging by the fallout of those conflicts between president and prime minister, this is good neither for the party nor for the State," Kutev said. 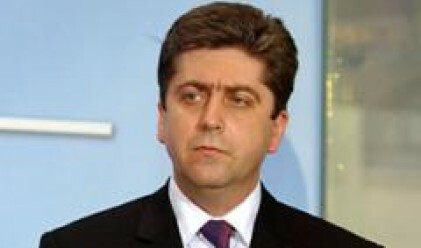 Ivan Kostov, leader of the Democrats for Strong Bulgaria (DSB), said GERB should determine its attitude to Georgi Purvanov, whom he called "the main builder and keeper of the three-party coalition's government". While GERB is maintaining bridges to Purvanov, there can be no discussion with it because the right wing does not need such bridges. Kostov said the relationship between GERB and Purvanov should be sorted out, which only Boiko Borissov can do. Asked to comment on whether there is some internal strife in the Left between the President and the Prime Minister, Atanas Atanassov (DSB) said that due to a build-up of negatives, Purvanov was apparently trying to distance himself from the three-party coalition he himself formed. Yordan Bakalov (United Democratic Forces) said that "if one reads between the lines, the interview announces the emergence of a new entity in the political scene - what is referred to as 'experts'". Nikolai Svinarov (Bulgarian New Democracy) said the President seemed to want so much to see Bulgaria a presidential republic that he tended to forget it is a parliamentary republic. Svinarov said the three-party coalition needs a corrective, "but being its creator, the President cannot be its corrective as well". Pavel Shopov (Ataka) said Purvanov openly distanced himself from "his subordinate people in power".